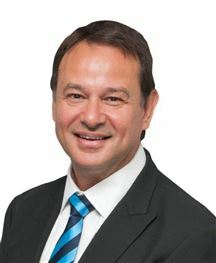 Prior to relocating to Australia, Abel was involved in various aspects of commercial property, mainly as Managing Director of a South African unlisted property fund with retail, commercial and industrial assets located across South Africa. He navigated the fund through the GFC and supervised the operations of the fund during the disposal of its assets to various listed and unlisted funds. Abel has extensive experience in repositioning property and the development of property assets to achieve their full potential. Abel is also a current Director of a privately held property fund in South Africa where he provides strategic input into various developments that the fund is engaged with. He holds a Bachelor degree in Accounting and has been involved as investor in various businesses in the transport, real estate and agricultural sectors. A family-man, he spends free time with his wife and 2 children, enjoying the amazing outdoor lifestyle that the Gold Coast offers. 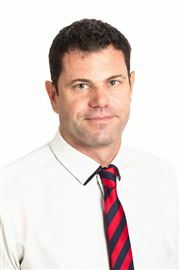 Chris Louw came to Australia with a vision; a unique approach distinct from any other commercial property business in Australia. This vision was realised by the opening of NAI Harcourts Hope Island embodying a shift in the way people think about commercial property management. In the late 1990's, following a sports career as a junior Springbok and later playing 40 games for the Cheetahs Rugby Team, Chris turned his sports acclaim to building up his successful commercial activities. These were later acquired by PSG Group Ltd and the South African retail banking giant, Capitec Bank. Since selling his business Chris has actively pursued his passion in building a commercial property portfolio and remains an involved property owner himself. Chris studied economics at the University of Bloemfontein and is still an avid sportsman. Chris is married and enjoys spending time with his family. Chris also enjoys playing golf, fishing, diving, dirt bike riding and snow skiing. Chris Bristow has been working in the property sector for most of his professional life. Having graduated from university with degrees in Arts and Commerce, Chris went to work at a major Australian bank in various lending areas including the specialised Property and Construction areas. Chris then commenced studying law before working with the Australian Securities and Investments Commission, however, decided to move back into property, as he loves putting together deals and helping his clients. Chris offers his clients his extensive property knowledge, honesty and dedication to achieving their aims. Chris works hard for both vendors and buyers alike in order to help them make an informed decision when choosing to become involved in the commercial and industrial property markets. Gerry started his career as a commercial agent in downtown Surfers Paradise with the Max Christmas organisation in 1987. 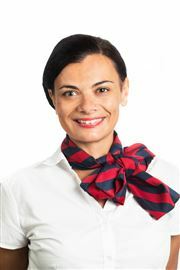 With a natural love of people and sales, Gerry won numerous sales awards including Commercial Sales Person of the year and overall Sales Person of the year in 1988/9, after personally coordinating the largest commercial property amalgamation in Surfers Paradise- now the site of Q1- the World’s largest Residential Tower built by Sunland. Now as an experienced agent, Gerry has developed an extensive network of property clients and friends. Along the way he learned the difference between sustainable and non-sustainable approached to commercial and development property. He brings extensive experience of the property industry and a fresh insight into successful property investment. In 2012, Gerry merged his Agency into the new NAI Harcourts Commercial office and joined a team of other seasoned professionals. Being part of a great local and global team enables a higher level of professional service to clients. The ability to see new market opportunities and create sales and deals where none were possible has been a common trait in Gerry’s career.